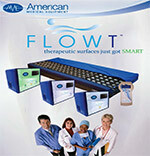 Full thickness, non-powered advanced wound care therapy mattress system. Micro-conforming distribution system with 130 interconnected air cells. 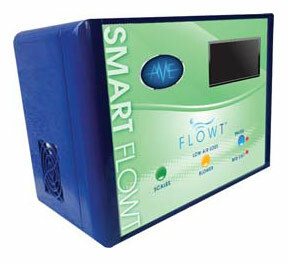 4 zones of 35 air cells are customized to optimal pressure distribution for each body zone. ROHO technology air cells react immediately to any slight patient movement to provide continuous reactive pressure redistribution. Air exchanges and circulates between cells to manage moisture. Waterproof, breathable four way stretch top cover allows for full immersion without resistance. 3” multi-density base layer adds safety and comfort .